Previously it was assumed that the red marble sarcophagus found in 1911 belonged to Saul from the kindred Győr, the archbishop deceased in the beginning of the 13th century. 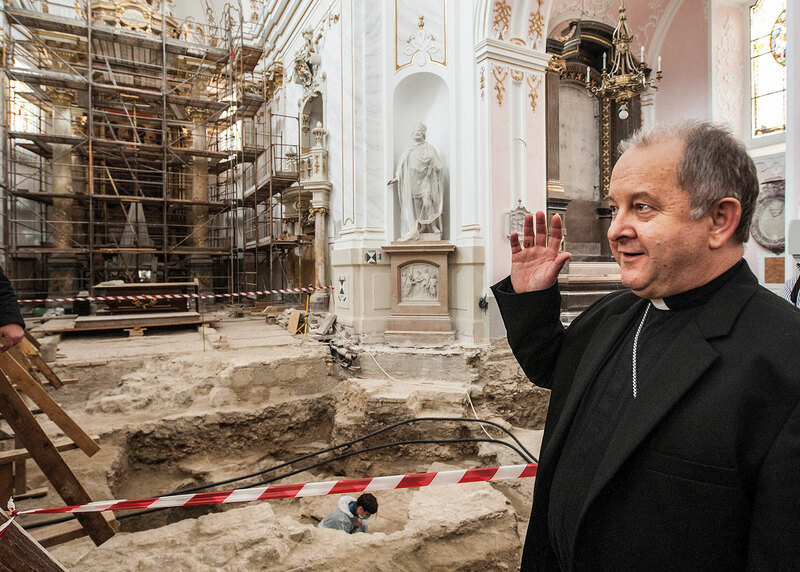 Previously it was assumed that the red marble sarcophagus found in 1911 belonged to Saul from the kindred Győr, the archbishop deceased in the beginning of the 13th century. 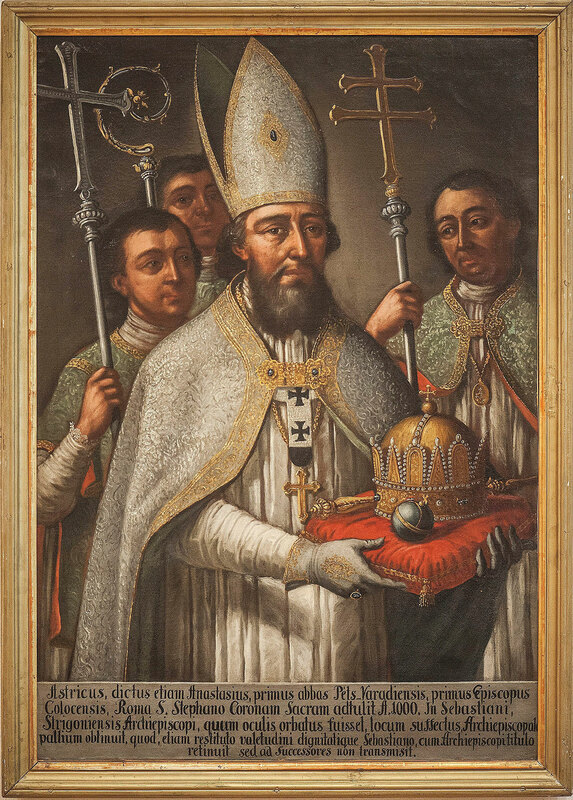 In April 2014, after examining samples from a finger bone, researchers at MTA Atomki and Isotoptech Ltd. announced that the radiocarbon measurements defined the date of death of the archbishop buried in the grave at 1001–1030. This coincides with the scanty historical data on Astrik. 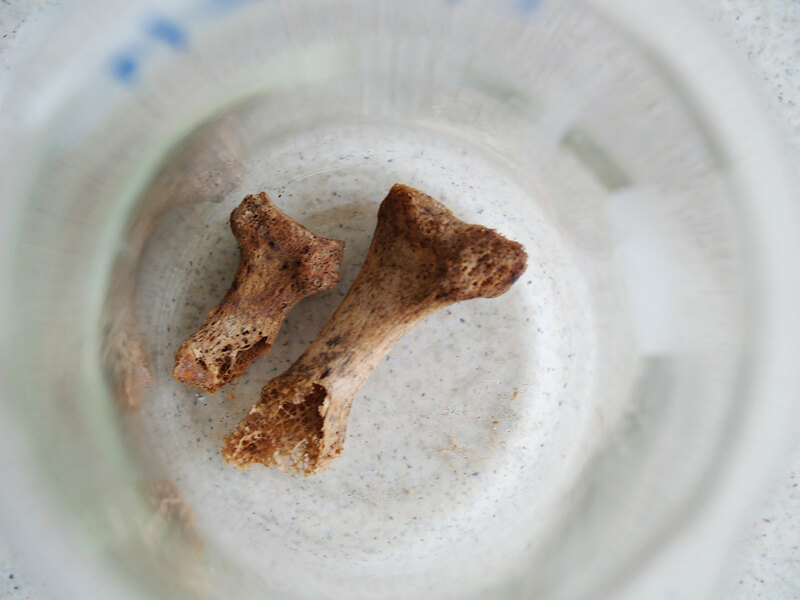 Although radiocarbon dating has been carried out with great precision for decades in MTA Atomki, to perform this measurement in the past one would have needed at least 200g bone sample from the precious finding. Thankfully, by using the most modern accelerator mass spectrometric technique, 2g material from the phalanges was sufficient for the radiocarbon dating. The previously used, traditional radiometric techniques (liquid scintillation counter: LSC, gas proportional counter: GPC) are based on the measurement of radioactivity. By contrast, the AMS mass spectrometric method determines the 14C/12C isotopic ratio directly. The isotopic ratio is in the order of magnitude of 10-12 for the currently living organisms, while in a several-thousand-year old sample, it is decreased to one thousandth of this. The maximum age which can be determined by this method is about 50-60 thousands years. Samples older than that contain very little from the cosmogenic, radioactive carbon with atomic number 14 (14C) since it has a half-life of 5730 years.